Bramblecrest Granite Base Set of 4 (Quarter Sections) provides an attractive full set of base weights for adequately weighting down a free-arm cantilever style parasol such as the Bramblecrest Chicester. 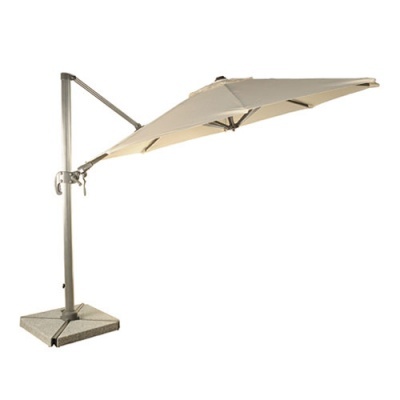 Supplied in four quarter sections to be placed on top of a parasols crossed base plate, providing guaranteed stability when winds blow. Each section individually weighs 25kg allowing the total 100kg base to be moved in manageable sections. 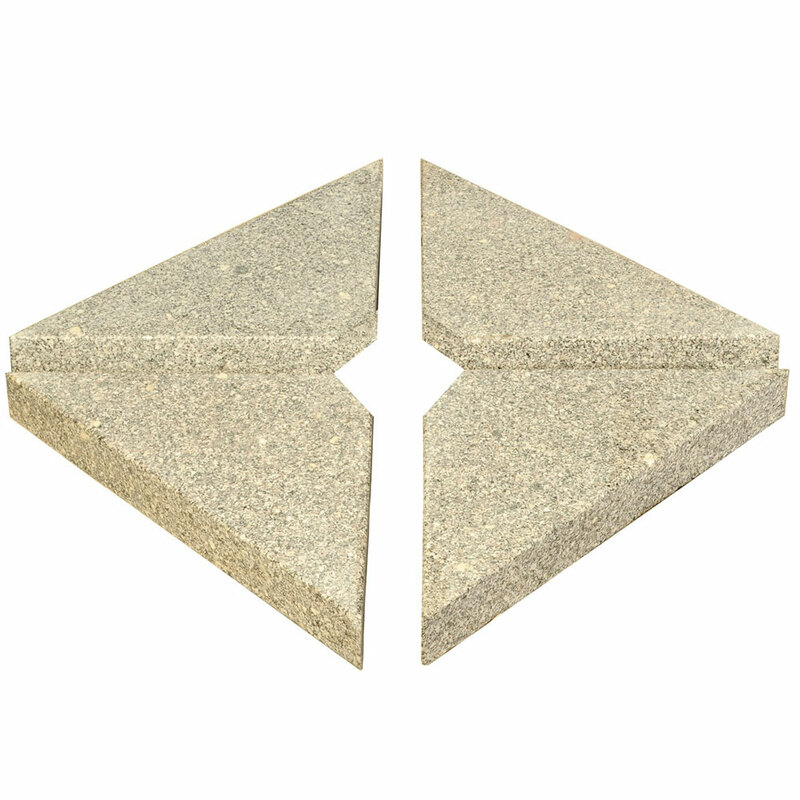 Normal parasol bases can be unsightly, but this sand coloured stone design ensures attractive styling. Very heavy slabs, but they look good and do the business. First class outstanding service from Bosworths - ordered a.m., delivered p.m. same day. Fantastic.